Sold Out – Bellanita Potatoes is an early, small-sized salad variety producing very high tuber numbers. 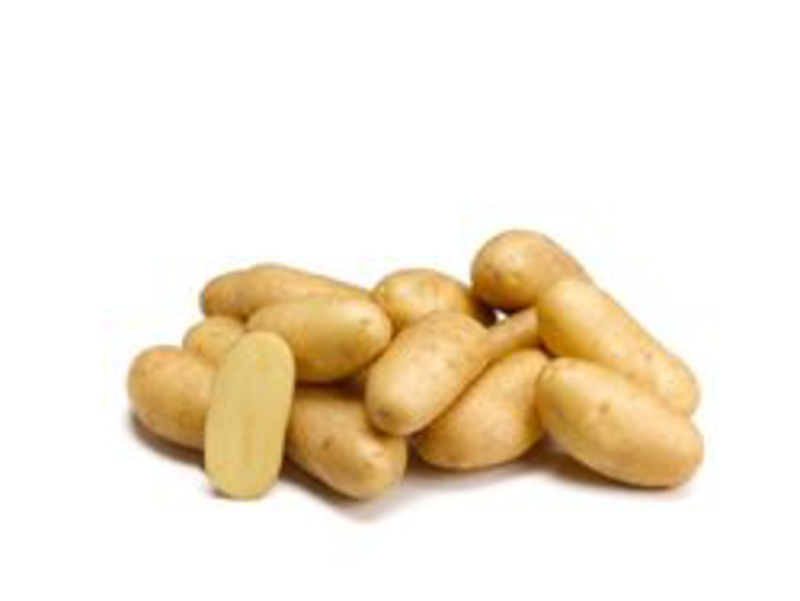 These long tubers are consistent in shape and have an attractive yellow skin and pale yellow flesh color. The cooking type is rather firm and Bellanita has an excellent taste. Bellanita Potatoes is an early, small-sized salad variety producing very high tuber numbers. These long tubers are consistent in shape and have an attractive yellow skin and pale yellow flesh color. The cooking type is rather firm and Bellanita has an excellent taste. If you have grown Linzer Delikatess in the past, you would be hard pressed to distinguish the difference between these two varieties. Both came from the same breeding program in Europe with Bellanita being the new replacement.